The finest quality ground Cumin . 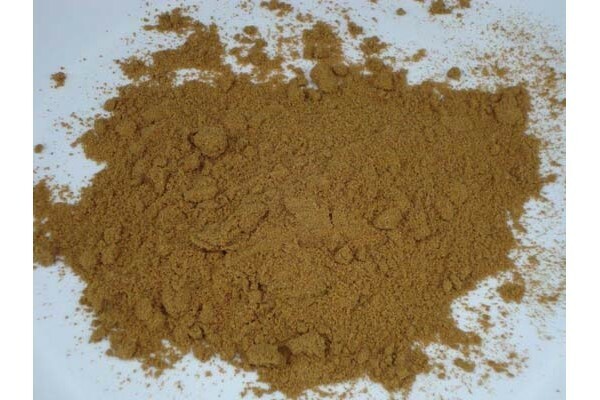 Cumin is the dried seed of the herb Cuminum cyminum a member of the parsley family. Cumin has been in use since ancient times. Seeds excavated at the Syrian site Tell ed-Der have been dated to the second millennium BC. They have also been reported from several New Kingdom levels of ancient Egyptian archaeological sites. Originally cultivated in Iran and Mediterranean region cumin is mentioned in the Bible in both the Old Testament and the New Testament. It was also known in ancient Greece and Rome. The Greeks kept cumin at the dining table in its own container (much as pepper is frequently kept today) and this practice continues in Morocco. Cumin fell out of favour in Europe except in Spain and Malta during the Middle Ages. It was introduced to the Americas by Spanish colonists. Since returned to favour in parts of Europe today it is mostly grown in Iran, Uzbekistan, Tajikistan, Turkey, Morocco, Egypt, India, Syria, Mexico and Chile. Cumin seed was once widely used as a food flavouring in Europe the Romans ground it into a powder and used it like pepper. It is little used at present in Western cooking though it is much employed in India. A hot and aromatic flavour it is an important ingredient in curries and is also often used as a flavouring in biscuits cakes and bread where it also helps in improving the digestion. Cumin seeds are used as a spice for their distinctive aroma popular in Indian Pakistani North African Middle Eastern Sri Lankan Cuban Northern Mexican cuisines and the Western Chinese cuisines of Sichuan and Xinjiang. Cumin can be found in some Dutch cheeses like Leyden cheese and in some traditional breads from France. It is also commonly used in traditional Brazilian cuisine. Cumin can be an ingredient in (often Texan or Mexican-style) Chili powder and is found in achiote blends adobos so Frito garam masala curry powder and bahaarat. Cumin can be used to season many dishes either ground or as whole seeds as it draws out their natural sweetnesses. It is traditionally added to chili enchiladas tacos curries and other Middle-Eastern Indian Cuban and Mexican-style foods. Cumin has also been used on meat in addition to other common seasonings. Contrary to popular belief in the US the spice is not very common in Mexican cuisine. However the spice is a familiar taste in Tex-Mex dishes. It is extensively used in the cuisines of the Indian subcontinent. Cumin was also used heavily in ancient Roman cuisine. Cumin is typically used in Mediterranean cooking from Spanish Italian and Middle Eastern cuisine. It helps to add an earthy and warming feeling to cooking making it a staple in certain stews and soups as well.